During solar cycle No. 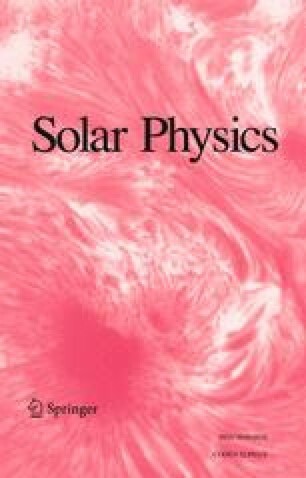 20 new insight into the flare-spray phenomenon has been attained due to several innovations in solar optical-observing techniques (higher spatial resolution cinema-photography, tunable pass-band filters, multi-slit spectroscopy and extended angular field coronagraphs). From combined analysis of 13 well-observed sprays which occurred between 1969–1974 we conclude that (i) the spray material originates from a preexisting active region filament which undergoes increased absorption some tens of minutes prior to the abrupt chromospheric brightening at the ‘flare-start’, and (ii) the spray material is confined within a steadily expanding, loop-shaped (presumably magnetically controlled) envelope with part of the material draining back down along one or both legs of the loop.